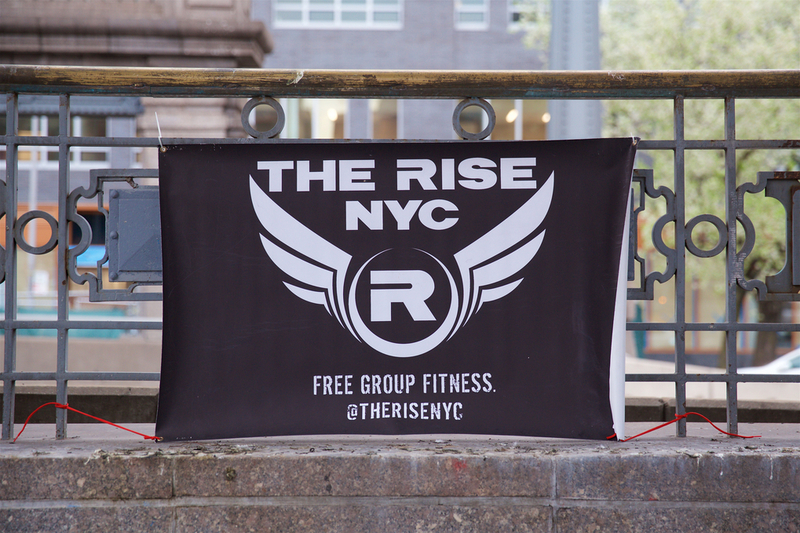 “The Rise helped me get back on track with my fitness goals and boosted my confidence in social situations. The positivity is contagious! It changed my life… Besides, I get crazy #FOMO when I miss hanging out with all of my friends in the AM!” -Kaitlyn V.
Worth it for high-fives” -A Haiku by Katie O. “I Rise on the days that I’m off from work. I Rise even though I’m currently hurt.But it’s worth all of the push ups & commute of an hour, for high fives, laughs, hugs, & “yeah buddy”s that empower me to work stronger me to push harder me to take chances. Inspired to inspire! For as long as we can wear fluorescents together, Every day that I Rise is the best day ever!” -A poem by Kathryn D.